I’ve been neglecting the food side of things for a while but fear not, I am back, with more drizzle cakes! I’m not a big orange eater, so I was a bit disappointed when we received 4 big oranges in our box (something I forgot to add into my dislikes list) this week, but then my thoughts turned to cake and all was well! I make lemon drizzle cake a lot, its easy and tasty and I generally have the ingredients in the cupboard/fridge. I’ve been meaning to try orange drizzle cake for a while, its just as easy and just as tasty. Cream butter and sugar, add the eggs. 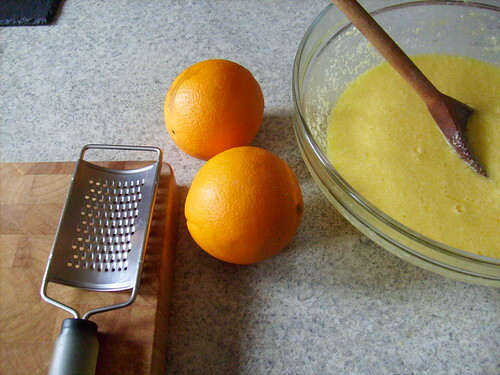 Zest the orange and mix into bowl with juice of orange. Stir in flour and cinamonn until all combined. Spoon into a cupcake tray lined with cases. Bake on middle shelf at gas mark 5 for about 10 – 15mins until golden and cooked through. 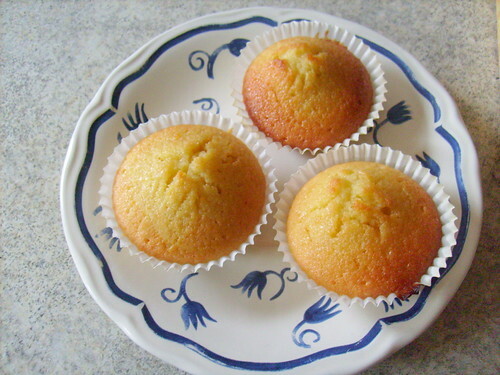 Normally lemon drizzle cakes require you to wait til the cakes are completely cool to ice them, but I find that you don’t need to so much with cupcakes. Allow them to cool slightly for a few minutes. Mix the sugar in slow with the orange, sifting through a tea strainer to make it nice and fine. I normally use a fork or a whisk so the icing isn’t lumpy. 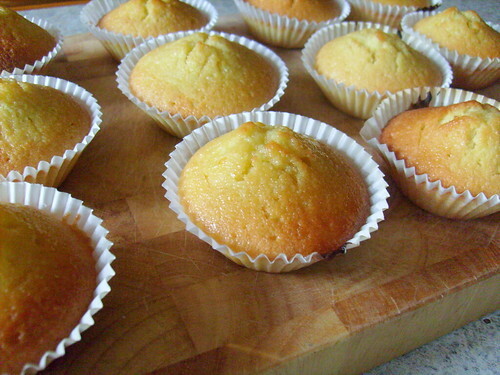 You may need more or less icing sugar than I have said above, depending on the juiceness of your oranges and lemon! Mix until it has a consistency like double cream. Prick the cupcakes lightly with a fork or small knife. 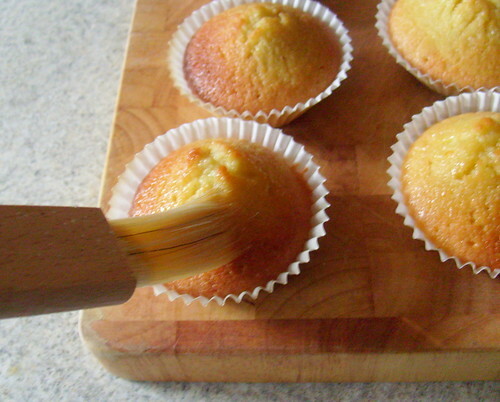 Brush or spoon the icing over the cakes generously. I was really pleased with how these came out, I may add a little more lemon next time to counter the sweetness and give it a slightly more citrus flavour. This is not very cheffy or even food blogger-y but you could use a tiny bit of from concentrate orange juice to up the orange flavour a little. 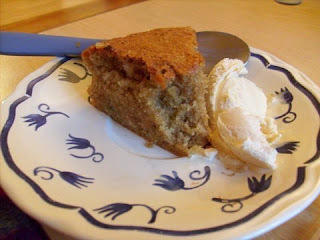 This has to be the easiest cake to make ever, and its very very tasty too. The recipe basically calls for putting everything in the bowl at once (except the nutella) and mixing it all up, no creaming of butter and sugar or sifting of flour needed. I even melted the butter in the oven entirely, so it saved me a job there too. This is a great cake to make in the evening or on a Sunday afternoon when you have little motivation to make something and all the shops are closed- but you NEED cake. I had a bit of Hotel Chocolate Smudge in the cupboard, which I used instead, its a lot more hazlenutty which made up for the fact that I had no hazlenuts in the cupboard either. Was gorgeous with a steaming mug of tea, just the thing for a rainy weekend! And because I haven’t blogged about jewellery for a while… these are my newest creations. 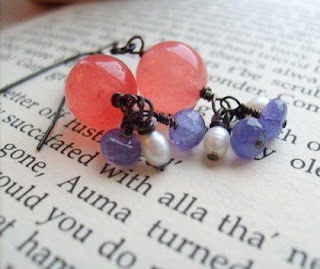 Lovely vintage pink chalcedony with tanzanite and pearls on oxidized silver.